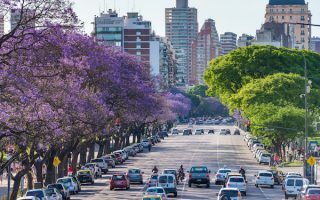 Tango, food, literature, and football (soccer) are just a couple of things that make Buenos Aires the cultural hub that it is today. 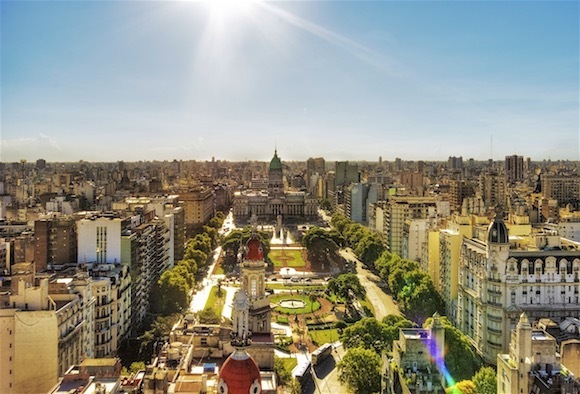 Capital of Argentina, and the fourth largest city in the western hemisphere with a population of 17 million, Buenos Aires is the most visited city in South America. The city is also considered one of the most diverse in Latin America, as it has become a melting pot of ethnicities throughout the past 150 years. The best places to run in Buenos Aires incorporate the city’s sites, parks, and plazas. The Montserrat and San Telmo neighborhoods are the historic core of the city, and the Plaza de Mayo is its administrative center. Our Buenos Aires running routes are focused on the central part of the city. 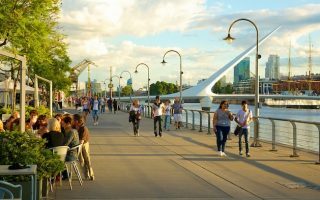 Running highlights include the Parque Tres de Febrero (Bosques de Palermo), along the docks in the Puerto Madero, and a tour of some of the city’s famous plazas. For kicks, run along the Av. 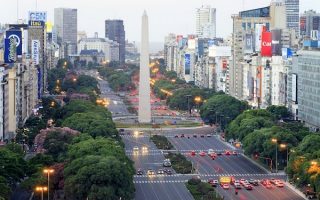 9 de Julio, the widest avenue in the world. 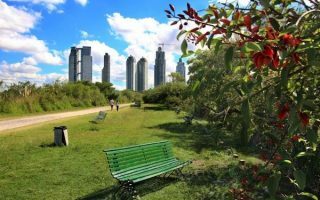 The most bucolic centrally located run is the Reserva Ecológica Costanera Sur. Weather varies in the city, with June being the coolest month and January being very hot and humid. The bus and Subte (subway) systems are easily accessible and convenient for most of the major attractions. For a quick and easy guide to the bus system, use this website. 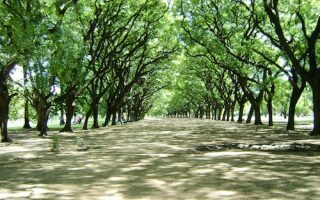 Buenos Aires' largest and most popular public park, full of attractions and perfect for a run-seeing adventure. There's a lake, rose garden, an area tribute to literary greats, and many lovely paths. Runners can put together several km in the park. Some of the best waterside and car-free running in Buenos Aires. About 5 km along 4 interlinked docks, connected by wide pathways. Puerto Madero, one of Buenos Aires’ most modern barrios. The most bucolic off-road running opportunity in Buenos Aires. 900 acre reserve, next to Puerto Madero, with pleasant, wide trails great for running. Perimeter loop is 8 km, with another 2-3 km of interior paths. Open 8am-6pm except Mondays. 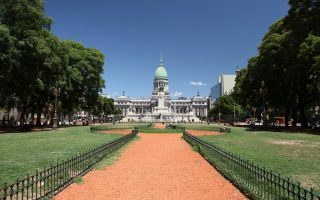 The ultimate tour of a handful of Buenos Aires’ many plazas. A nearly 4 mile loop through some 16 plazas, which includes several of the city's important sites. 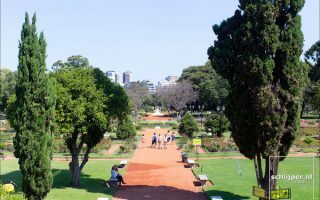 Add to the run by exploring some of the plaza paths or the Bosques de Palermo. A quick loop between two of Buenos Aires’ most political and historical plazas. Good roads with wide sidewalks connect the them. Can be combined with the Casa Rosada loop for a longer run, or Av. 9 de Julio. 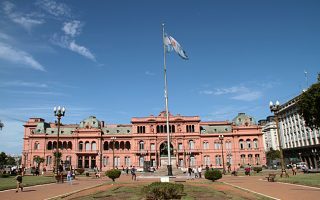 The executive mansion and office of Argentina’s president, named after its baby pink color. This 3.1 mile loop includes Plaza San Martín. For a longer run, head west to the Plaza Del Congreso, another 3.5 km out and back. A major, centrally located thoroughfare passing through several parks and plazas. There are wide sidewalks and a bike path along most of the route. It's a good, straight shot, 6.7 km one-way. Run the widest avenue in the world! With 15+ lanes of traffic, this might not be the most bucolic run, but it's iconic its own way. The Av. 9 de Julio runs for 3+ km from the Retiro district in the north to Constitución station in the south. 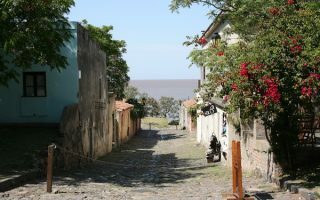 A 75-minute ferry ride from Buenos Aires, this former Portugese settlement in southern Uruguay is a popular visitor destination. Good running along the waterfront (Rambla), Barrio Histórico, on beaches, and some rural agricultural roads. The weather is good for running nearly year round, but hot in the summer. The winter season is June-August when temperatures range from mid 40s to upper 50s. December through February are the city’s warmest months, with temps in the 80s (29C), with high humidity. Runners should plan for sun and heat in the summer. Summers are wetter due to thunderstorms. The Palmero area is a very popular place to stay as it is not so touristy but still has an active restaurant and bar scene. Some of the city’s finest hotels are in Recoleta with a European-feel and a convenient location close to downtown. For an option close to our Puerto Madero dockside loop, we suggest staying in Puerto Madero. As one of the newest and trendiest places in the city, this area offers elegant restaurants, upscale living spaces, and a fashionable crowd. Buenos Aires Half Marathon – first weekend in November. The largest half marathon in the southern hemisphere. Nantu Marathon Series. Several events from a half marathon to a fill, Sept-Dec.